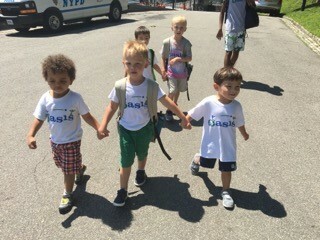 Oasis Camps offer specially tailored programs for children from 3 years old entering 9th grade! We offer amazing facilities, mature staff with low camper/staff ratio, a warm safe environment where children have the opportunity to participate in varied activities tailored to their interests! Children ages 3 years old to entering kindergarten. • Low child to staff ratio. • Ready for September enrichment component. • Daily schedule accommodates both physical and creative needs of campers. • American Red Cross Instructional and recreational swim program to build confidence and comfort in the water. • Participate in all camp events! Children entering 1st to 3rd grade. 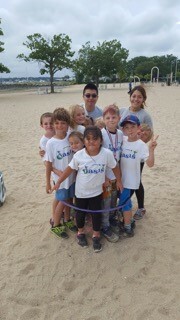 • Varied sports and non-sports programming designed to expose campers to new, exciting and fun activities. • Non-competitive, inclusive environment stresses building bonds and friendships. • Choice time activities to give campers the opportunity to pick their own activities. • American Red Cross instructional and recreational swim program to further develop skills and confidence. Children entering 4rd to 6th grade. • Activities planned to further expand on skills and to explore new interests. • Programming tailored to meet the maturing tastes of older campers. • Campers choice-choose your favorite activity and enjoy! • The opportunity to engage in intramural events, engage in intercamp travel and exciting day trips. • Or try Gold Coast Sports Academy for a week or more of intense Sports Training! 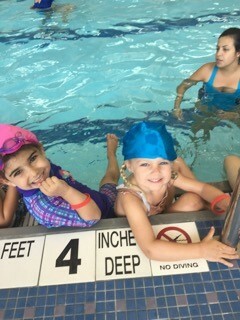 • American Red Cross swim program tailored to meet skill level and fun! Teens ages 12-14; entering 7th, 8th & 9th grade. • Museums, area beaches, baseball games, amusement parks, interactive workshops with talented professionals & more! • Community service projects, overnight camp excursions & late-night socials! • Teens leave Oasis with a new appreciation for their surroundings, as well as learning new skills while forming meaningful friendships. WIYE is a hands on two-week intensive program that guides young entrepreneurs through the process of becoming an innovator and a leader as they launch their own socially-minded venture. Work with successful leaders to develop innovative products and business ideas through social entrepreneurship. Formulate socially minded business ideas with mentoring through the whole process of building sustainable and successful businesses. Small groups will work with mentors from leading business schools and guest presenters from cutting edge businesses. 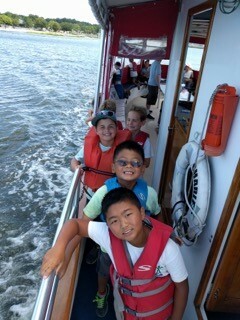 Oasis Camp offers programs for children 3 years-sixth grade! 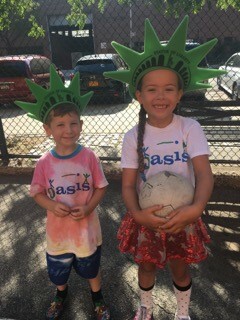 With facilities in Manhattan, Queens, Long Island, Westchester, and New Jersey, Oasis features mature staff with low camper-to-staff ratio and a warm environment where kids participate in activities tailored to their interests. The Early Start camp for kids 3 years-kindergarten offers sports, daily Red Cross swim, arts, dance, theater, and a Ready for September enrichment program. 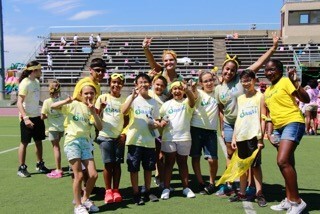 The Traditional Camp (first-sixth grades) provides campers with sports, crafts, theater, dance, and Red Cross Swim. Teen Travel has daily trips, team building, and overnights.